Although the democrat party has attempted both of these sets of gun control legislation before, and despite the hard evidence that they do not work, they are nonetheless trying again. Second Amendment groups at both the state and federal level are on high alert, as should be all gun owning citizens. 1. This is all part of the pre-planned, highly coordinated, multipronged attack on our rights by the democrats. This is a reactivation of their continuing attempts for decades, most of which have failed, miserably. This is all part of a long-term strategy and agenda, not based upon facts on the ground, being able to prevent crime, the needs of the nation, or defending civil rights. And, as the most learned Second Amendment supporters know, they are of course using measures copied from previous regimes of communists / national socialists who pioneered what we know as gun control. Please keep in the back of your mind this very important question: Why would an American political party (the DNC) be resorting the methods already put into use by our current and former enemies? And all of those being national socialists (the Nazis, the NSDAP), communists, and other totalitarian regimes. 2. These bills are a redux of failed attempts of the past, the same old gun control / people control / path to disarming the public and keeping us from defending ourselves. What is being unveiled and introduced this week is much of the same language, same ploys, and same legislation that was already proven with empirical data and case studies galore to not have any detrimental impact on violent crime. These bills literally contain extensive use of regulation and language that was either voted down or failed in the past, going back to 1992-1993. The democrats, in collusion with several national level anti-Second Amendment groups, literally dusted off their old plans and added some updated information. Same ploys, different date. 3. Gun control is one of the only things that the democrat party can attempt, as they have nothing else substantive, having no successes or results that they can run on. They know all of this and are increasingly desperate. Moreover, pro-gun legislation and defeating anti-gun ploys are both things that we have made great gains on in the past 20+ years, particularly with regard to concealed carry and sunset of the Assault Weapons Ban. 4. Facts and crime data do not support gun control. We know that despite the array of false narratives and statistics always propagated by the democrats, that these gun control regulation ploys only benefit criminals while making it more difficult or even impossible for law abiding, innocent citizens to defend themselves; especially minorities, those in larger cities, and those having less income. Additional requirements and regulation all but preclude entire classes of Americans from even being able to afford to go through the process of having and carry a firearm. As it stands, in the average state where a purchase plus carry is intended, citizens are paying a minimum of $125 to $1,400 for the entire process of permitting, training, and meeting other state & federal requirements (that does not include the cost of the firearm, ammunition, and accessories). Or, they are deterred for fear of breaking the law with what they already own. Or, they are deterred from carrying as it is too much of a process in addition to the expense. Or, they want to hunt with a semi-automatic, magazine fed scoped rifle, but cannot legally cross through a state to the state that they plan to hunt in. Or, even own the rifle at all. Democrats have proven time and again that they do not care about the safety of the citizenry or keeping government out of their lives, preferring statist gun confiscation, gun bans, and gun regulation to impede any form of self-defense, sporting use, or resistance to tyranny. The facts favor freedom loving Americans. Fact never favor these pro-socialist, statist democrats. Thusly, this pair of democrat party gun control attempts via the pair of bills in Congress, and the myriad of ongoing attempts at the state level since the Las Vegas and Parkland, Florida massacres, are not supported by the research and what really happens. Time and again, the empirical data and case studies of crime prove that none of these gun control schemes will ever work or do as promised. This was the reason for allowing the 10-year federal Assault Weapons Ban to expire (sunset) in 2004. It did not work. Even some left leaning and hard-core democrat party / leftist media admit that there is limited or no impact to curb crime when these laws go into effect. Yet, other elements of their party and party media knowingly project false narratives, contrived talking points, and skewed data to create the illusion that their proposals will work. They will villainize law abiding gun owners while perpetuating fallacies in every direction in accordance with the "Big Lie Theory." 5. Democrats are waiting the next tragedy to exploit. It is part of their political doctrine or modus operandi. These two "redux" gun control bills were devised in the previous months. The democrat party will take advantage of what will be the unfortunate but perennial mass shootings, exploited on cue once again by democrats to advance this statist, anti-civil liberties agenda while doing nothing to effectively fight crime. There are at least six of these mass shootings per year on average. Sometimes many more. As these happen, expect the democrats to once again vigorously attempt to manipulate the public via clever propaganda (agit-prop, etc.) and plays to emotion and low information voters to foster the inevitable knee jerk reactions by impressionable followers of the mainstream media and certain politicians. None of these narratives or bills are truly designed to save any lives. Even their repetitive use of the term "gun violence" is misleading, as the DOJ's National Crime Victimization Survey shows us year after year that most crimes against persons were not committed with firearms, and most especially not those which just happen to be the target of these two bills introduced this week. They are designed to punish already law-abiding gun owners and they know it. And of course, you will never hear the democrats talk about fighting or preventing the root causes of interpersonal violence or criminality. Why is this? Because (A) the facts do not support their gun control ploys and false narratives, so they use a diversionary tactic to villify and punish an entirely innocent class of Americans instead, and (B) plain and simple - they are both the proprietor of the conditions leading to interpersonal violence and their electorate also has proven to statistically the source of most of it. This includes the scores of illegal aliens who use illegally obtained and smuggled guns to kill innocent citizens and police officers on a very regular basis. Part of their intent seems to punish and infringe upon the "gun culture" and disarmament of the citizenry, while doing nothing at all to prevent or deter violent crime. 6. I believe that we, freedom loving Americans and Second Amendment absolutists, have the upper hand and are still in the position of advantage. But, this culture of bureaucratic politicians, the infamous "swamp" in Washington, D.C. that is known for flip-flopping, statism, betraying their constituents, and that by and large do not represent or resemble the rank and file American gun owner could become very unpredictable in these next 22 months. 1. The fight is on again: Between now and November 2020, the battle royal to defend our rights and against statism is on. As part of the continued fight to save our country from these radical, statist democrats and their allies in the compromise mentality RINO / never-Trump camp. 2. 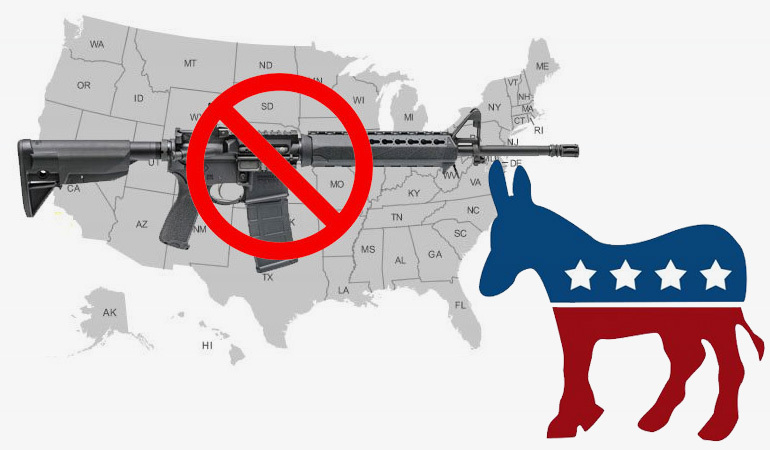 Gun rights will become a general election campaign issue again: These renewed gun control attempts by the democrats will further embolden patriotic, liberty loving Americans, as the facts are on our side. Additionally, this may force the White House to stand stronger against gun control attempts at both the state and federal level. These renewed gun control attempts will cause the White House to take a side against them. Furthermore, two pivotal events for patriots and conservatives are looming: The annual Conservative Political Action Conference (CPAC) is late next month. Following that, The NRA National Rifle Association of America's Annual Meetings & Exhibits (www.nraam.org) are coming this spring. These are two of the platforms where gun rights are discussed and proclaimed. So, expect some new declarations or direction regarding our firearms civil rights and public policy during or in the timeframe of these critical events. 3. Outside of governmental methods, the democrats will continue attempts to bankrupt, demonetize, de-platform, and discriminate against the firearms industry and those that support it and our firearms / self-defense civil rights. Back during the dark days of the Clinton era, I was a full-time employee at two large firearms manufacturers in a row beginning in the 1990s. As many of you recall, this was both during the middle of the Assault Weapons Ban and during the myriad of frivolous, politicized lawsuits against our firearms industry by the anti-gunners, designed to bankrupt us as well as diminish the supply of firearms for self-defense, hunting, and other lawful purposes to the American public. Both companies that I worked for, Smith & Wesson and Sig Sauer, were hit hard by these lawsuits. Democrats will continue to devise methods, exploit loopholes, concoct devious schemes, or outright target & discriminate against all manner of industry and advocacy as part of their larger goal. And, of course, they will continue to try to "legislate from the bench" using activist judges to their advantage as well as frivolous lawsuits. 4. Both bills are doomed to fail in the U.S. Senate. It does not appear that they would get the votes for either of these. However, something could affect that, as history has proven. On that, see #5 above. 5. The democrats appear to be as emboldened and maniacal as ever with their continued gun control/ people control agenda. They have much lost power, have been discredited & repudiated, and therefore are desperate and losing members and donors, and, as we already know and have seen in increasing and alarming manner, they are becoming absolutely treacherous and deranged. Furthermore, several of these bill sponsors, authors, and collaborators have more than two decades of ardent anti-gun experience. They are coming back for more. Expect the worse from them that we have ever seen over the next twenty-two months. Maybe longer. The fight is on for our civil rights fellow Americans. Americans have been subjected to slippery slope of incremental gun control as well as countless fatal losses due to the scourge of gun control. We must all commit to action, decisive action, to stop these infringements and assaults on our civil liberties in the coming days. 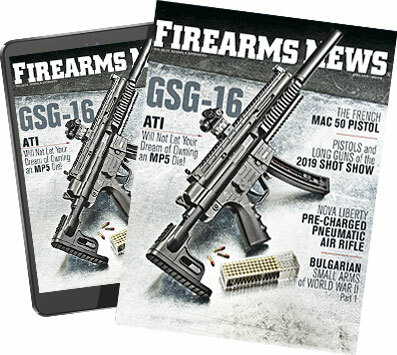 John Peterson has written previously in Firearms News and in our special publications Be Ready! and Book of the AK magazines and is a member of the combat veteran owned Big 3 Media Group. 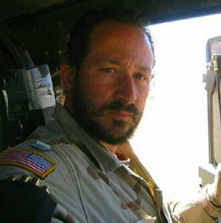 He is a former U.S. Army Special Forces soldier and professional instructor. He was a full-time instructor at the Smith & Wesson Academy and Sig Sauer Academy for three years each, followed by a tour in the war zone as a Special Forces soldier on the ground, then at the Department of Homeland Security before becoming a contractor supporting the war effort, some of that overseas again. Before all of this, he was a private investigator and served in the U.S. Army’s Infantry under President Reagan. He has taught over 60 types of courses and at 56 conferences to date, mostly in firearms, as well as tactics, driving, antiterrorism, intelligence, and surveillance, to totaling over 11,000 persons. He was heavily involved in the professional sniper community for over a decade. He is now Chairman of a developing patriotic organization, the American Preservation Alliance (www.AmericanPreservationAlliance.org) As an ardent defender and absolutist of the Second Amendment and a combat veteran, he is a life member of all of these: NRA, Second Amendment Foundation, GOAL of Massachusetts, Gun Owners of New Hampshire, IACSP, Academy of Security Educators and Trainers, Special Forces Association, Special Operations Association, and the VFW. He is an annual member of the American Conservative Union, Heritage Foundation, USCCA, Nine Lives Associates, and several instructor and security associations. Find him at @jtfpeterson on Twitter, Instagram, Ricochet, MeWe, MINDS, Facebook, and firearms forums such as AR15.com. Kel-Tec's Chad Enos spoke with Joe Kriz at SHOT Show 2018 about a few new firearms they are releasing to the public this year.